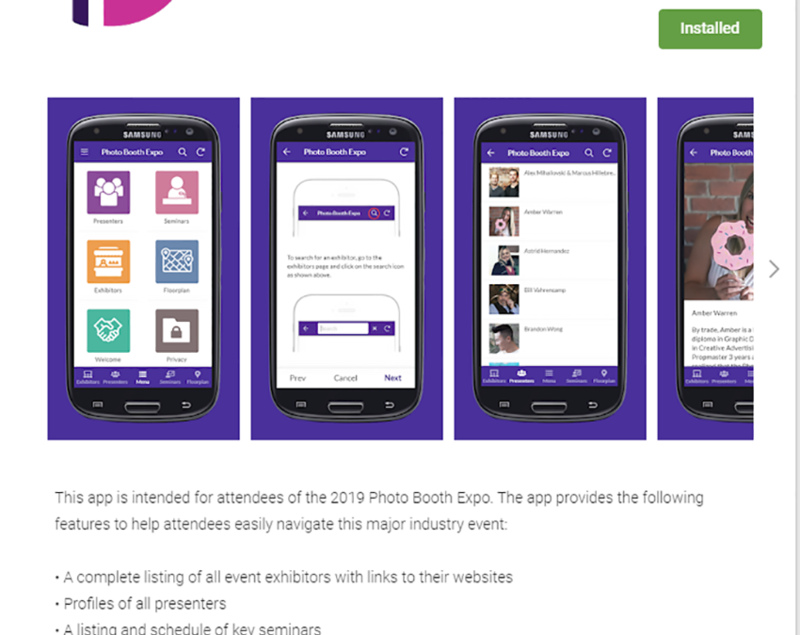 New this year is our Photo Booth Expo 2019 app for Android. The app provides the following features to help attendees easily navigate the exhibit floor and seminars. A Third app option, available on supported devices allows you to create a app button on your home screen that accesses selected information from photoboothexpo.com. If you re browsing photoboothexpo.com from a supported mobile device, you will see a “Add To Home Screen” notice (from the bottom of the screen) and will be able to ‘install the website’ on the home screen of your device.